Hi, friends, and Happy Friday! I just got our four-month wedding countdown email yesterday from TheKnot.com. As you know, I am focusing all of my wedding planning attention on my Erin Condren monthly checklists, so I mostly ignore these Knot emails. They come with even more to-do lists of their own, which I think could really stress out a person. Nothing like an email in the middle of your work week with tons of wedding prep to do to get a gal sweating glistening. Thanks to my EC planner, I can completely ignore these emails other than reminding me how far out we are from the big day, getting a little twinge of "yikes!" before getting a huge rush of excitement. First off, we are getting married on April 13, 2013. 4/13/13. I love the ring to it! Plus, my nerdy GT/OCD side loves that 1+3=4. Awww. We made this fun picture into Save the Date magnets for all of our guests with details on the bottom corners. Hint: Come back this weekend to get a little tutorial on how I made the banner we are holding in our Save the Dates. It was a fun and easy DIY project that you could duplicate for any special occasion. 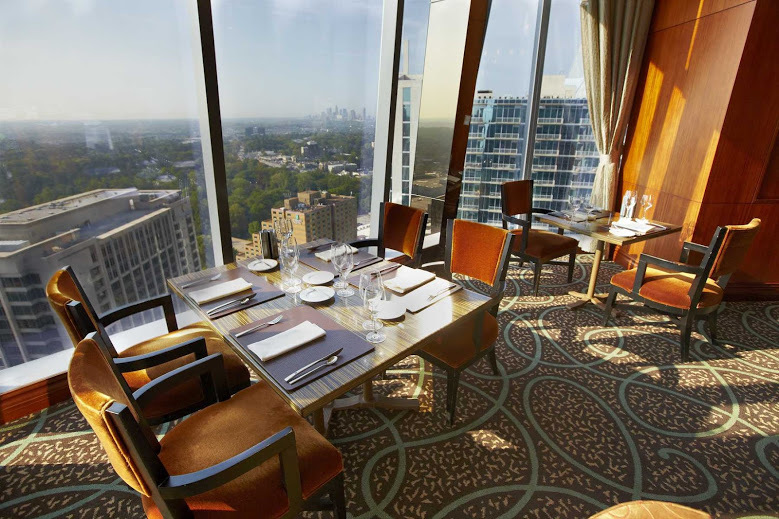 Our wedding will take place right here in Buckhead. As if you hadn't guessed that already. We are a Buckhead couple and we wanted to keep the love right here in town. Plus, Buckhead is a great centralized location for our guests, a large majority of whom will be flying in and taking MARTA to the hotel. The hotel is close to the church which is close to the reception. No one has to drive, and everyone can hang out late-night at the nearby bars if they want, too. 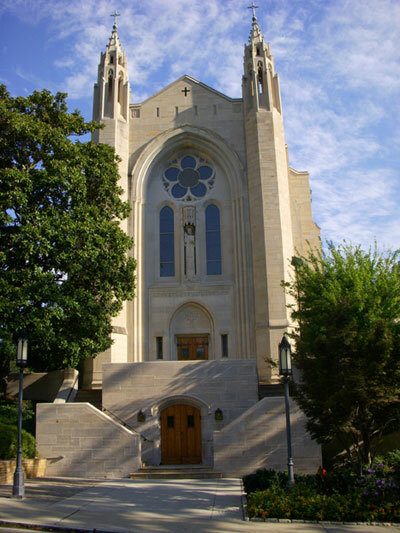 Our wedding will be held at Cathedral of Christ the King, the Catholic cathedral that you might recognize if you have ever run the Peachtree Road Race course. It's located at the bend right through the residential part of town. We are having a 2 p.m. Catholic Mass. I have dreamed about having a Catholic Mass wedding for my whole life. I feel like it's the perfect blend of tradition and celebration. It might be an hour (+) long (!! ), but I love that it helps showcase the actual wedding as the focus of the day, rather than the party afterwards. You all know I love throwing a party, but it's nice to remember the reason for the day. Speaking of the party, we are having a big one that evening at The Buckhead Club, which is part of the ClubCorp organization. 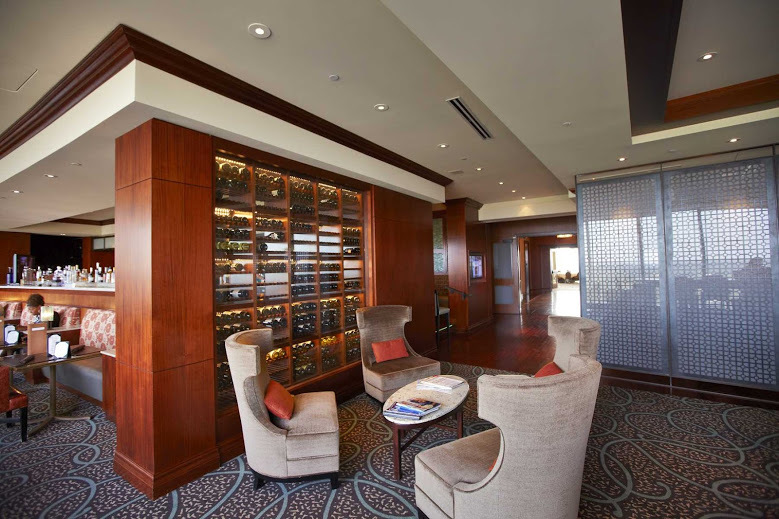 ClubCorp has locations all over the country, and they are like the business version of a country club. They feature awesome food, staff and areas for both business and entertaining. Most importantly, they excel at making their members and guests feel like royalty, which will be perfect for our big day. The views out of all sides of the Club are amazing. Even the lounge area has a swank feel. We love the views from the Club. It's located on the 26th floor of the Sovereign Building, up above our fav restaurant Bistro Niko (coincidence? I think not!). Our happy hour will be on one whole side of the building, and dinner and dancing will be on the other. It's going to be amazing. I can't wait to see the space all pulled together. Want to know more about our wedding? 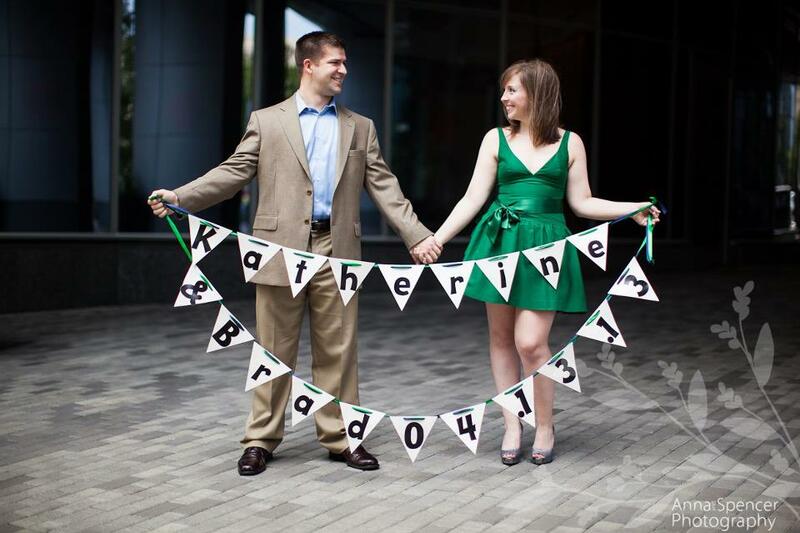 Head on over to our wedding website, BradandKatherine.com. It's full of information about us as a couple and more details about both venues. Tip: I chose to use Wedding Wire for the website, because I absolutely loved the templates they had. The one we chose, a Vera Wang design, matches our preppy city-chic theme and colors, and provided just enough customization along with helpful templates to make it really easy to set up. Sounds beautiful! CTK is such an amazing church. Two of my cousins got married there years ago. Iconic Buckhead! Sounds like you have a perfect day planned!! @Britt - Thanks! I bet your cousins' weddings there were wonderful. I always see guests getting ready for weddings there on Saturdays when I drive past, and can't wait for it to be mine!